When a commercial airplane goes down, there is a melee of emotion. Grief, terror and a surfeit of unanswered questions take over. Amidst the chaos and tragedy, there are answers; usually found in the well known “Black Box” of the airplane. This device holds indestructible tapes of cockpit voice recordings and flight data that will not bring back those who perished, but may yield some insight as to how such tragedy could be avoided in the future. This scenario is one that Dr. Dejan Juric uses to explain to other health professionals the value of performing a “Rapid Autopsy” on newly deceased patients who had cancer. More specifically, those who had cancers with a complicated genetic profile that caused a sudden disease progression despite previously successful treatment. 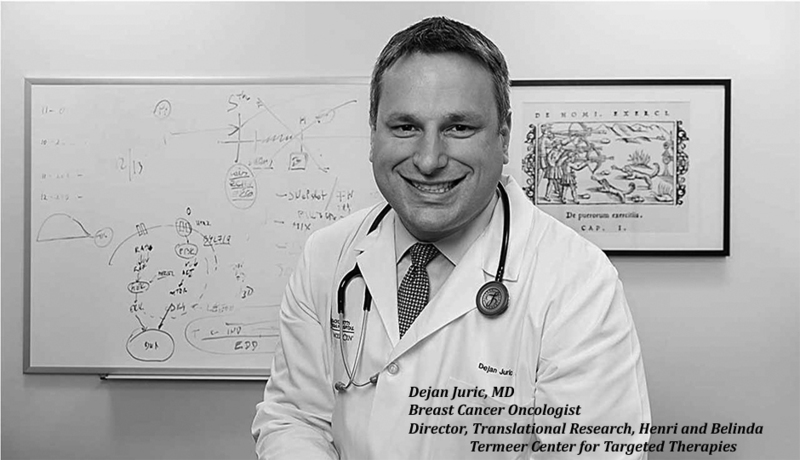 “Through autopsy, we discover things that we could never have known, despite the advanced imaging and biopsy techniques that we employ,” said Dr. Juric, a breast cancer oncologist and Director of Translational Research at the Henri and Belinda Termeer Center for Targeted Therapies. As a medical oncologist and an early drug development scientist, he is passionate about learning how he could do things differently—how he could change the therapy that a patient is receiving because he has learned, from data collected at autopsy, that certain genetic mutations and alterations actually result in resistance to certain therapies. The rapid autopsy program at the Mass General Cancer Center was endorsed and encouraged by Cindy Eid, devoted sister of Susan Eid, a patient of Dr. Juric who died of metastatic breast cancer after a four year struggle. Cindy’s generous gift in her sister’s memory was to perpetuate Susan’s long held belief in research and the idea that this research should not and must not stop at the time of patient’s death. It is through this gift that the program is made possible. Both sisters believed that today’s research will be cures for tomorrow. The molecular pathologist and Medical Director of the Center for Integrated Diagnostics, Dr. Anthony Iafrate, is an expert at analyzing the samples for genetic composition and can identify subsequent mutations that occur in response to various treatments. 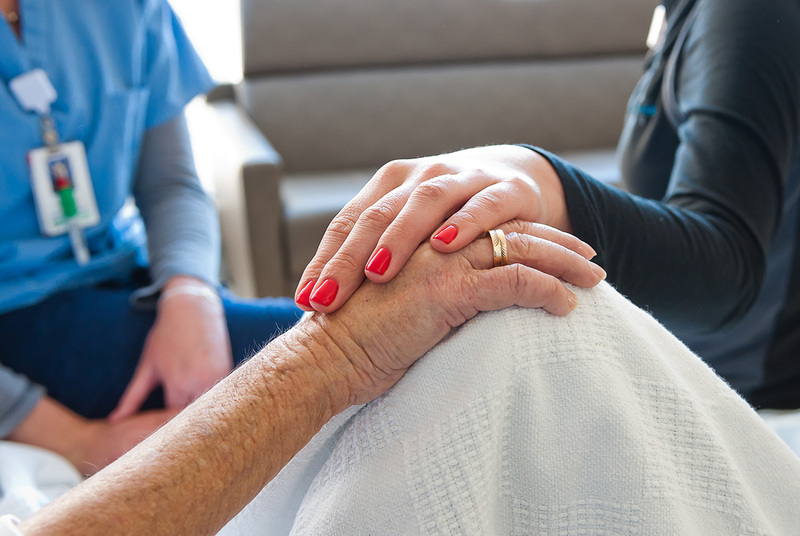 The procedure is performed within hours of the patient’s death to ensure tissue viability. It is respectful, professional, and limited to what is necessary to yield vital information. It is the “black box” holding the key necessary to understand how cancer cells change and mutate and become resistant. It is potentially life-saving information for people yet to be diagnosed. Thousands of important data points can come out of one simple autopsy, and collected over many patients—over time, the data will be computated in ways that will generate unique medical and scientific inferences. Gaddy Getz, Ph.D. directs the Cancer Genome Computational Analysis group at the Broad Institute of MIT and Harvard, where he is an institute member. 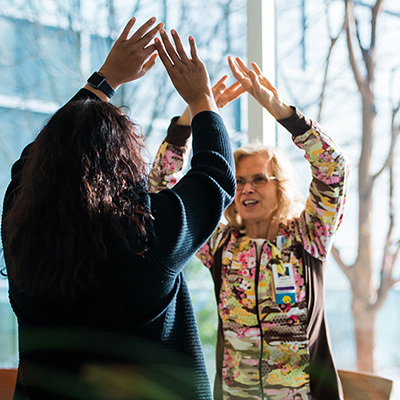 Under Getz’s leadership, the Cancer Genome Analysis group has established itself as a world leader in the development and application of genomic technologies and next-generation sequencing for analyzing cancer mutations. 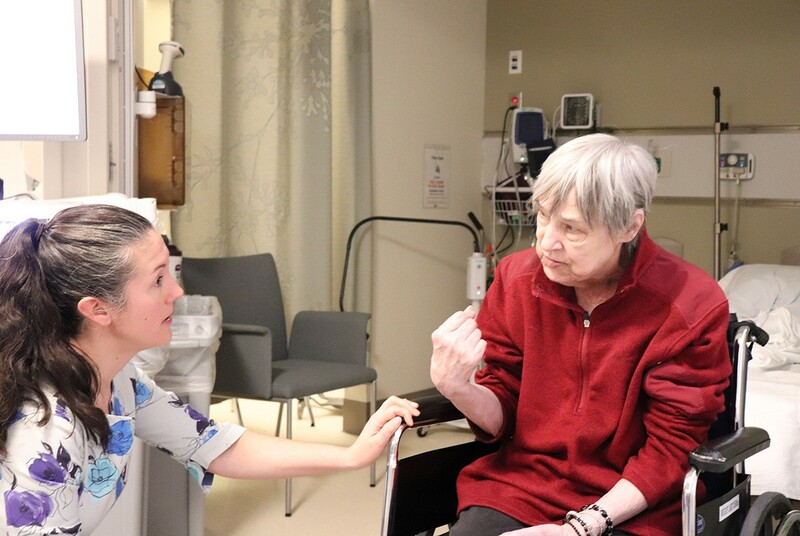 The Mass General Cancer Center often works closely with the Palliative Care team and the nursing staff to ensure patients and families are able to make knowledgeable and thoughtful decisions about the legacy of tumor tissue donation. It is a program that offers hope, and one that serves to pave the way for ever increasing knowledge about the complexities of cancer biology.